Update: putting in just cookingactress.com should work now! Yay! Again, let me know if there are any problems! 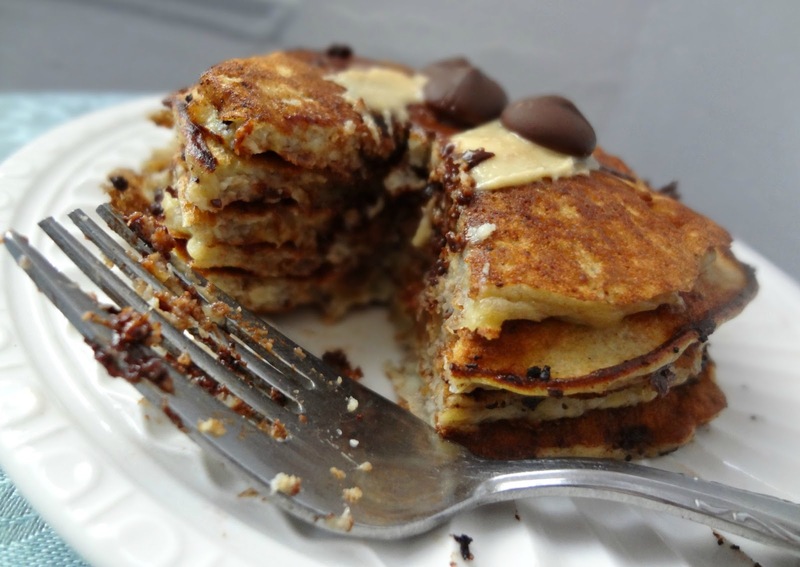 If I told you you could make healthy, tasty pancakes using only eggs, banana, and baking powder, you'd be like "Oh my crap! Let's get on board!" right!? 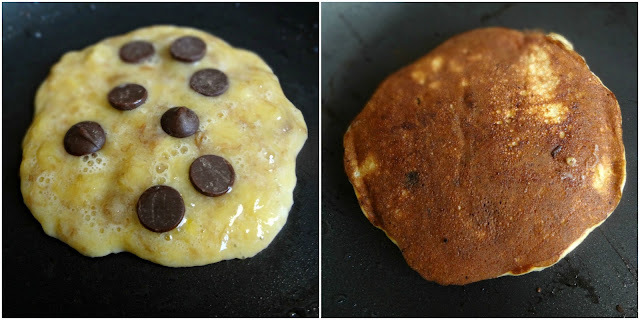 Um...well...you can make healthy pancakes using only eggs, banana, and baking powder. It won't be easy. And it's gonna taste very strongly of...well...eggs and banana, but...you can do it. Unfortunately for me, I actually don't like eggs. So end of the day, these poor pancakes didn't get eaten (Michael wasn't home, plus he doesn't like bananas). Luckily-I didn't use many ingredients to make em. Anyway, let's rewind. I'm not saying you should write these guys off. You just need to know what to expect. If you're cool with bananas and eggs, then we're off to a great start. You also just need to be very careful when cooking these, letting them cook a little slower and fully before flipping (and making sure to make small pancakes and using 2 spatulas, because these are very fragile and flipping is difficult). 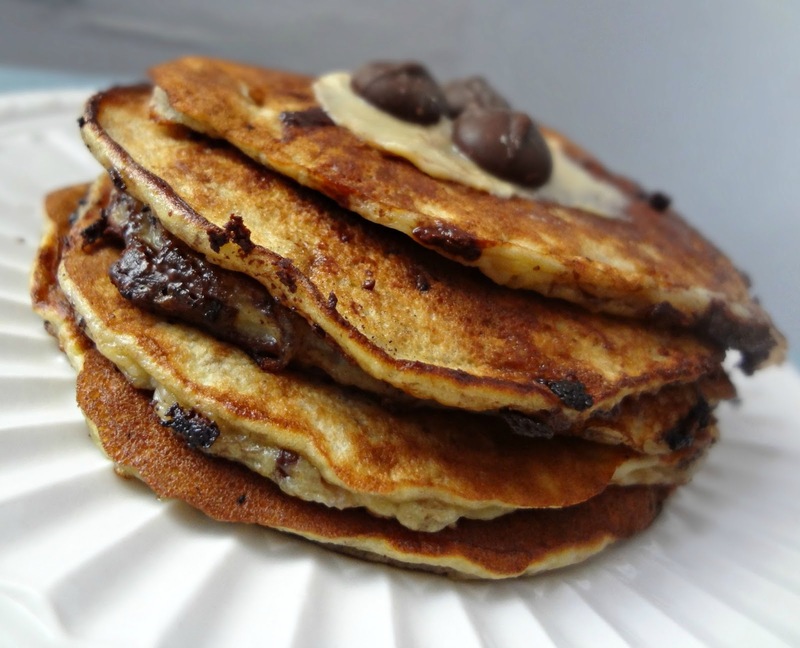 Once you follow those steps, you do have some pancakes that are pretty good-and you can feel good about eating! They're definitely worth trying. Like that dress you see at the store that normally wouldn't be your style but something about it is like clicking in your brain-you might as well try it on. Mix together eggs, mashed banana, and baking powder. Spray your pan or griddle with nonstick cooking spray and heat over low-medium low heat. 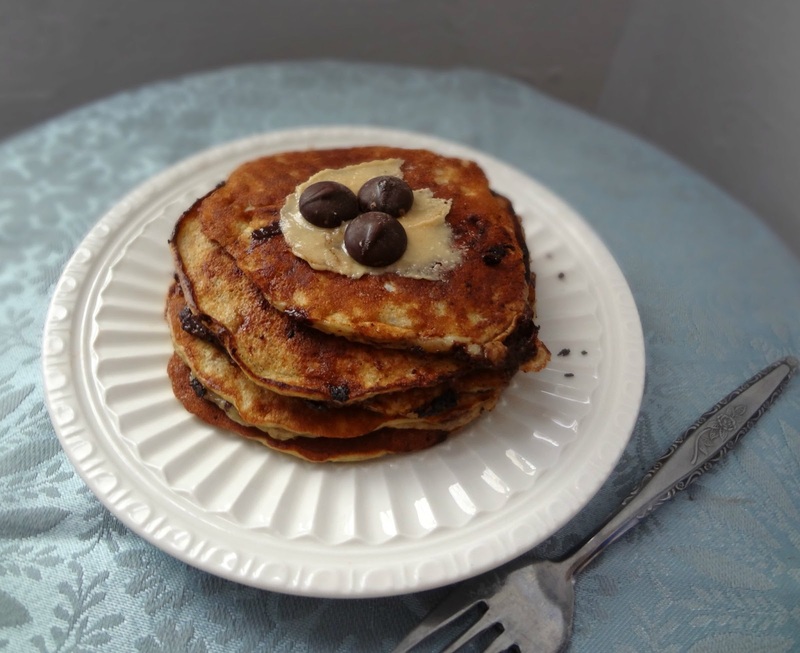 Pour a small amount (1/4 cup or less) of the batter onto the heated skillet, and sprinkle chocolate chips on top. Let cook until the edges are dry and the bottom is browned. Carefully flip-it will be very fragile, and messy. Cook until other side is browned as well. Transfer to a plate. Repeat until all the batter is used. Serve with syrup, peanut butter, etc!